House foundations, also known asr crawl space foundations, provide easier access to plumbing and wiring underneath the home, but come at a higher cost, with prices averaging between $8,000 and $25,000. Concrete slabs have an average cost between $4,500 and $12,000, with stem concrete slabs (rebar-reinforced) averaging between $7,000 and $21,000. 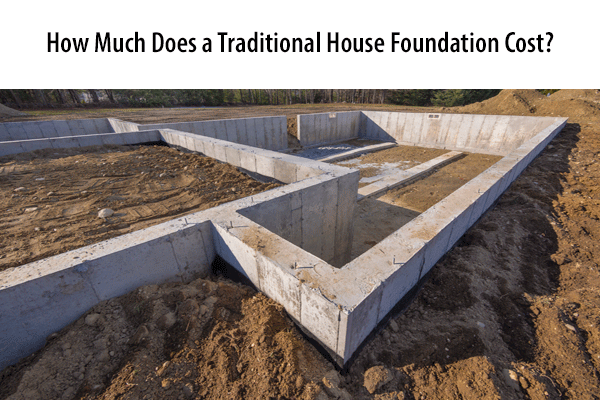 How Much Does a House Foundation Cost? The cost of a house foundation or crawl space depends on the number of footers needed (meaning the number of corners for the foundation are taken into account) and, in the case of crawl spaces, the height of the crawl space. A crawl space foundation for a 1,500 square foot home that is 24" high with six foundation corners has an average cost of $4,800 for the beam supports, concrete, and other materials. Adding a ramp to this same crawl space improves mobility, at an average cost between $1,500 and $3,250. Labor costs for this type of foundation have an average cost of $12,600. Concrete slab foundation prices are based on the area the home is built, the layout of the home, and the size of the home. A concrete slab for a one-story, 1,500 square foot home has an average cost of $3,200 for concrete and other materials. Labor for this same slab has an average cost around $7,000. It is important to note that the prices for both house foundations and concrete slabs do not include the cost of electric work, plumbing, or pre-treatment for pests. A traditional house foundation is raised off the ground, with footings used to support the structure and the elevation typically providing a crawl space underneath the home. 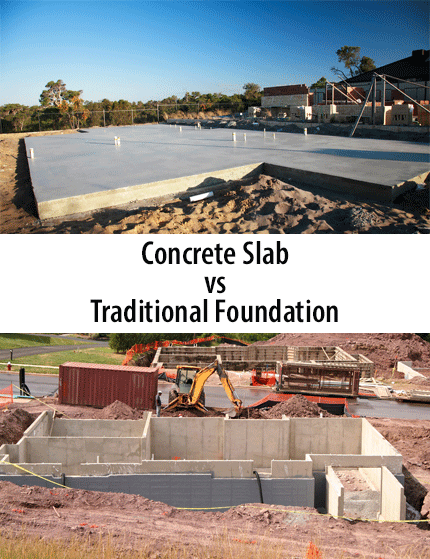 There are advantages and disadvantages that come with choosing a house foundation over a slab. Easier access to utilities - A raised foundation makes for easier access to plumbing and wiring underneath the home. Down the road, you’ll save a considerable amount of money on utility work or repairs. Lower flood risk - Homes built on raised foundations are elevated, so there’s less of a chance that they will flood. Comfortable floors - With a raised foundation, the floors are usually made of wood, which is much softer and more comfortable to walk on than concrete. Aesthetically pleasing - Most people prefer the look of a home that is raised to one at ground level. Costs more to build - Raised foundations are more expensive to build. Plan on shelling out about an extra $10,000. Takes longer to build - Because raised foundations are more complicated to build, the process takes longer. Moisture issues - Water and humidity can build up in the crawl space of your home, leading to fungus growth and rot. Unwanted pests - The area underneath your home is vulnerable to termite infestations. And it can serve as a shelter for unwelcome animals such as possums and skunks -- and their droppings. Concrete slabs are a flat piece of concrete poured directly on the ground and reinforced with iron rods or rebar. Slab foundations do not allow for basements or crawl spaces. Stronger floors - Slab foundations are more stable than raised foundations because they’re made of concrete. You’ll never have to worry about whether the floor can support heavy items such as waterbeds or grand pianos. Slab foundations are also less likely to rot, sag or creak. 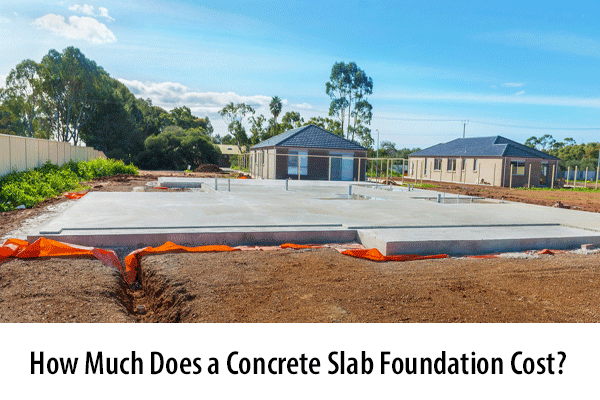 Costs less to build - Homes with slab foundations, on average, cost about $10,000 less to build. Faster to construct - Building a slab foundation is a simpler process than building a raised foundation, so it doesn’t take as long. You can move into your new home sooner. Difficult to access utilities - With a slab foundation, some of the plumbing, electric wires and duct work run underneath the concrete slab. This makes for difficult and expensive repairs and modifications. Greater flood risk - Homes with slab foundations sit directly on the ground, so they’re more likely to flood. In some flood-prone areas, building codes prohibit slab foundations. Not as comfortable - Concrete is rock hard, so it is not as comfortable to walk or sit on. Over time, walking on such a hard surface can take a toll on your joints. Homes with slab foundations also tend to be colder. Not as aesthetically pleasing - Many people think that ground-level homes are less appealing to the eye than raised homes. It is always best to have an experienced professional prep the site and install the foundation for you, whether it is a traditional house foundation or a concrete slab. There are rules and regulations that must be followed for legal and safety purposes and a professional ensures that the job is done correctly. A house foundation or crawl space generally requires some type of grading and lot preparation, as the concrete footers supporting the foundation must be level and secure. The gutter system and landscaping should direct water away from the crawlspace to prevent moisture problems and grading should be done to prevent buildup. With a traditional foundation/crawl space, HVAC ductwork, plumbing, and wiring are usually placed in the crawl space. A concrete slab foundation needs to be leveled and properly prepared to ensure that the soil underneath does not shift and is uniform. Grading must be done to ensure that water drains away from the slab to prevent moisture accumulation. Iron rods or rebar are fitted to provide extra strength and prevent shrinkage before the concrete is poured. Any necessary electrical conduit and plumbing is also installed before the pour. Most slab foundation homes have HVAC ductwork run through an attic instead of the flooring. A basement offers additional square footage at lower costs in comparison to adding onto other parts of your home, but are more expensive than other foundations. A new basement has an average cost between $18,000 and $30,000. Many leave their basements unfinished to save on additional costs, as refinishing your basement is typically priced between $6,500 and $18,500. Overall, your costs depend on how large the basement is, the number of entrances, and the materials used to construct it. In general, large basements come at a higher cost. In considering the materials to use for your basement, remember that cinder block basements can leak as they get older. Poured concrete offers enhanced durability and moisture protection. Think about whether you want an outside entrance as well, or only an entrance from the inside of the home. A secondary door makes it easier to access the basement, but costs more and provides another way for flood waters to damage the space. If you are installing a basement, be sure to have proper drainage to keep moisture and water away from the basement.